#52 BriAnna Burbridge finishes around the basket. Her 25.7 PPG average is 4th in Kentucky and 42nd Nationally. Tennessee and Kentucky are blessed with talented basketball players. Today John McGraw Scouting takes a look at 5 prolific UNSIGNED scorers. These 5 players can put the ball in the hoop about as well as anyone. 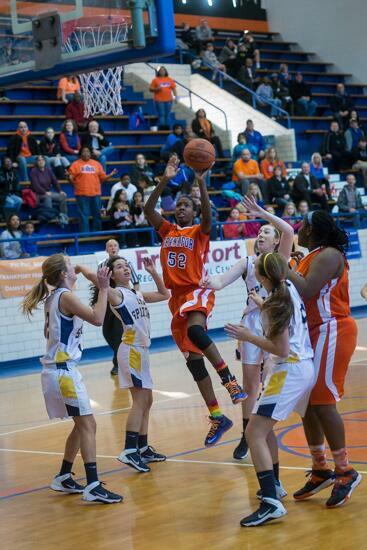 Whitney Creech (5’8 PG 2016 – Jenkins, KY) – Creech has been “filling it up” since middle school. As a 7th grader Whit led Jenkins High School varsity in scoring at over 20 points per game. As an 8th grader she led the state of Kentucky in scoring. Whitney is a 5’8 point guard with city/streetball handles. Jenkins is a tiny town tucked away in the southeastern corner of the state but Whitney somehow taught herself how to have the ball on a string. Her adept ball handling combined with a tremendous ability to finish have allowed Whitney to score over 3000 HS varsity points. She is well on pace for 4000 and has a chance for 5000 HS points. So far Whitney has heard most seriously from Seton Hall, Georgetown, Northern Ketucky, Marshall, ETSU, Eastern Kentucky, Western Kentucky. BriAnna Burbridge (6’1 CG/WF 2016 – Frankfort, KY) – BriAnna is not as well known name in Kentucky as she should be despite being a big time scoring guard with size and skill. 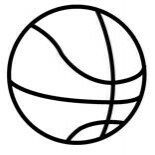 One reason is that Burbridge did not play with a major exposure team, although that seems to be changing with her transition to the TeamSlink program for the coming year. Her shooting ability is excellent and coupled with her size and athleticism she should be a BCS caliber recruit. She can put the ball in the hole from all over the floor although she’s learned to be more selective over the years from 3pt range. She’s hearing from a number of low mid-major schools and Xavier is in the mix as well. Raven Fair (5’9 SG 2015 – Union City, TN) – Raven is a long athlete with good range and a streaky shot. She has the ability to hit long range 3’s on multiple consecutive possessions. Going into last summer Raven was being recruited by James Madison and a few other D-1 but had a few average games at critical times (when Head Coaches came to watch her). She has the size, ability and demeanor to play basketball at the NCAA D-1 level. Last year in the state championship Raven guarded University of Kentucky freshmen Jaycee Coe in a box and one in the second half and shut her down. Raven has always been a great defender for the defending Class A state champs, but this is an article about scoring. Currently she’s pouring in buckets as the lone returning starter from last year’s team. While she’s made 16 3’s in 10 games, it’s her 2 point production which has increased dramatically as Fair has become a multi-dimensional player. Raven’s recruiting is WIDE OPEN especially for D-1 schools. Anastasia Hayes (5′ PG 2017 – Riverdale HS (Murfreesboro, TN)) – Hayes is going to be a big time recruit in the 2017 class. On a young but good Riverdale team, Hayes is their best hope to get the storied program back on top, especially in the ultra-competitive Murfreesboro with Oakland and Blackman hanging around and Smyrna and Stewarts Creek on the come up. Hayes has an explosive first step and uses her speed and quickness to blow by defenders and get in to the lane and score. An area of development for the future BCS player is perimeter shooting where she’s making just 16% this season. It’s early but Hayes is garnering interest from many BCS schools in the south including Tennessee, Georgia, Ole Miss, Kentucky and Georgia Tech. This entry was posted on December 17, 2014 by johnmcgraw49.